Save 20% on your first reading of any length! Use Coupon Code "Angel20"
Do you have a question or need guidance in your life right now? Are you experiencing challenges with family or romantic relationships? Are your finances less than desirable? Are you unhappy with your career or considering a career change? Angel card readings are one of the most accurate ways for you to receive answers to your life questions and guidance about your future. The angels want very much to help you, yet they can only do so if you ask. Angel readings give you peace of mind, comfort and insight in challenging times as well as joyful times.Kim uses a number of different Angel Card decks to receive information and answers from your angels and guides. These decks contain only positive, life-affirming and gentle guidance and Kim is able to clearly relay their messages to you in a loving way. New Client Special! Use Coupon Code "ANGEL20" to save 20% on your 1st Private Reading with me! 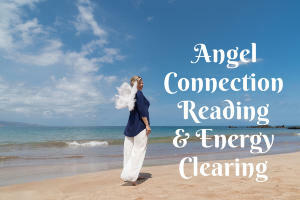 2 Hour Angel Reading Session $355 - Learn More! As a special BONUS you get my Archangel Insight Guide filled with tips for connecting with your angels and a handy reference for 15 of the Archangels so you know who to call on for your particular issues. A link to your Recorded Reading so you can listen to it again and catch every detail! Pay close attention to any thoughts or ideas you receive during the reading and as you listen to it again. 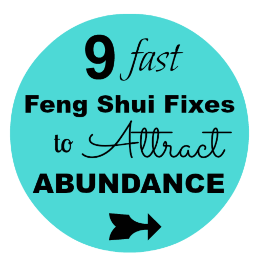 These thoughts, feelings and ideas provide further guidance from your angels. Subjects other than the one you inquired often come up as well and the Angels will always answer the question on your heart, regardless of what you ask about. Once the channels are open, they love to share as much information as possible in the time we have together. Two children for only $155 (save $21) Choose this option! Learn about your child or grandchild from the Angels! Receive insight about his or her Personality and Purpose PLUS receive practical guidance to help your child thrive. This reading makes a great gift for new parents or anyone with children! •	RECORDING of this 72 card reading! Order your Personal Forecast here! Order your Business Forecast here! NOW available - Airbnb Experience on Maui!! My Archangel Insight Guide which provides a HANDY Angel CHART! Now you'll know which angel to call on for your particular needs, who is guiding you (by their color & crystal). You'll also learn how to stay connected with the angels & the 5 things you should ask for angels help with daily! * My Archangel Insight Guide which provides a HANDY Angel CHART! Now you'll know which angel to call on for your particular needs, who is guiding you (by their color & crystal). You'll also learn how to stay connected with the angels & the 5 things you should ask for angels help with daily! During your reading you will be sitting in a Quantum Energy Ring which is activated with 24 frequencies of light. This creates a strong connection to the quantum field and an energy level of +72.